The 31st Marine Expeditionary Unit (31st MEU) is one of seven Marine Expeditionary Units currently in existence in the United States Marine Corps. The Marine Expeditionary Unit is a Marine Air Ground Task Force with a strength of about 2,200 personnel. The MEU consists of a command element, an infantry battalion with artillery, amphibious vehicle and other attachments, a composite helicopter squadron reinforced with a Harrier squadron and a combat logistics battalion. The 31st MEU is currently based out of Camp Hansen, Marine Corps Base Camp Smedley D. Butler, Okinawa, Japan. This is the only permanently forward-deployed MEU, and is America's expeditionary force-in-readiness in the Asia-Pacific region. The 31st Marine Expeditionary Unit provides a forward deployed, flexible sea-based Marine Air Ground Task Force capable of conducting amphibious operations, crisis response and limited contingency operations in the Asia-Pacific area. The 31st Marine Expeditionary Unit was activated on 1 March 1967 as Special Landing Force Alpha, for operations in Vietnam. It made the first of many amphibious deployments from Okinawa to the coast of Vietnam on 10 April 1967. The first operation actually conducted was on 14 Apr 1967, when the MEU conducted a rescue of the crew of the SS Silver Peak, a Panamanian vessel run aground by Typhoon Violet, in vicinity of Minami Ko Shima Island, Japan. Days later, it was committed to Operation Union, a search and destroy mission in Vietnam. This was followed by the 31st MAU's participation in Operation Frequent Wind on 29 April 1975 which was the final evacuation of Saigon as North Vietnamese forces entered the city. The flexibility of the MEU was demonstrated with the Iraq crisis in late 1998 regarding the regime not complying with the U.N. weapons inspections process. All four ARG ships had just completed Exercise Foal Eagle off the coast of Korea, and were heading to various port visits for liberty, when each ship received the call in early Nov 1998 to sail immediately to Okinawa to onload the 31st MEU. Portions of the MEU, including G Company, [[2nd Battalion, 5th Marines] and Charlie Company 1st Battalion 5th Marines], then the MEU's Battalion Landing Team; portions of the Command Element; and HMM-265, the MEU's Air Combat Element; and MEU Service Support Group 31 deployed to East Timor in January 2000 aboard USS Juneau (LPD-10) as Special Purpose Marine Air Ground Task Force East Timor. In East Timor, the Marines and Sailors supported the transition from the Australian-led International Forces in East Timor (INTERFET) to the new United Nations Transitional Administration East Timor (UNTAET). On 12 Sept. 2001, which was 11 Sept. on the East Coast, the Marines of the 31st MEU's Battalion Landing Team 2nd Battalion 5th Marines (BLT 2/5) were secured in their barracks on Camp Hansen as a Super Typhoon was passing over Okinawa, Japan. Marines became aware of the terrorist attacks through the Armed Forces Network television and radio stations, and word quickly spread. That evening the 31st MEU received a 96-hour warning order for deployment and was notified that the Navy ships were en route to load as quickly as possible. Although the storm was still in progress, Marines prepared their personal gear, plans were made, and vehicles and equipment were quickly moved to the port facility and onto the ships. The helicopter squadron was the last to board due to the passing storm, and the on-load was successfully completed in 93 hours. The 31st MEU then steamed south towards their anticipated destination, Afghanistan. As the ships passed Singapore, their destination was changed to East Timor. There the MEU again supported UNTAET operations. It was later found out that the 15th Marine Expeditionary Unit, just returning from a deployment to East Timor, was assigned the task of heading to Afghanistan. From September 2004 to March 2005, the 31st MEU, including Battalion Landing Team 1st Battalion 3rd Marines with attached Charlie Battery of 1st Battalion 12th Marines, conducted combat actions in support of Operation Iraqi Freedom. Participation including a major role in Operation Phantom Fury, the clearing of Fallujah in November 2004. With organizational changes to Marine Corps' reconnaissance units in 2006, all the MEU’s Special Operations Capable (SOC) designations were removed. The 31st MEU then became titled as a Maritime Contingency Force, although it remains capable of conducting the same wide variety of specialized missions on both sea and land. In February 2006, the 31st MEU was sent to the Philippines to provide relief assistance during the mudslides in southern Leyte. On 21 September 2007, the 31st MEU Command Element dedicated its headquarters building at Camp Hansen, Okinawa to Sergeant Rafael Peralta, who died in Iraq during Operation Phantom Fury while assigned to the 31st MEU. Sgt Peralta received the Navy Cross for his actions in Fallujah. In May and June 2008, the MEU participated in Operation Caring Response after Cyclone Nargis hit Myanmar. In Oct 2009 the MEU assisted in humanitarian & disaster relief in Luzon, Philippines after Typhoons Ketsana and Parma hit back to back. Simultaneously, elements of the MEU assisted in Sumatra, Indonesia after earthquakes struck the region. In Oct 2010, the 31st MEU conducted humanitarian assistance and disaster relief operations in northern Luzon after Super Typhoon Megi hit the Philippines. The 31st MEU was split into three separate parts on 11 March 2011, the day of the 9.0 earthquake and tsunami. The largest ship, USS Essex (LHD-2), with most of the Marines and Sailors of the 31st MEU aboard, had just completed an exercise in Cambodia and had arrived in Malaysia for a port visit. When 31st MEU leadership received news of the tsunami, they initiated an immediate recall of all personnel who were away from the ship on liberty. The ship quickly took on some supplies, and in less than 24 hours was underway to Japan where it would meet up with USS Germantown (LSD-42) and USS Harpers Ferry (LSD-49). Germantown and Harpers Ferry were both in Indonesia with elements of the 31st MEU embarked, and Marines and Sailors aboard the USS Harpers Ferry were scheduled to participate in a large humanitarian assistance and disaster relief exercise starting 12 March. Both ships were immediately alerted upon news of the disaster in Japan and headed north for the stricken country in support of what would become Operation Tomodachi. The Essex Amphibious Ready Group and the 31st MEU first arrived off the coast of Akita, Japan, 17 March and began flying coastal surveillance flights in the initial stages of Operation Tomodachi. Then, on 22 March, the ARG repositioned off the east coast of Japan, near Hachinohe, and the 31st MEU immediately began delivering relief supplies ashore via helicopters of Marine Medium Helicopter Squadron 262 (Reinforced). Supplies delivered included water, blankets, and other health and comfort items. HMM-262 (REIN) conducted a total of 15 survey missions and 204 supply delivery missions with nearly 300 hours of flight time. On 27 March, the MEU and Essex ARG’s priority became support to the isolated island of Oshima as part of Operation Tomodachi. Elements of the 31st MEU, including Marine Medium Helicopter Squadron 262 (Reinforced), Combat Logistics Battalion 31, 2nd Battalion 5th Marines and the command element went ashore on Oshima Island to remove debris, deliver critical supplies to the isolated area, and provide life support. Combat Logistics Battalion 31 began by transporting relief supplies, which included moving commercial electric utility vehicles, a fuel truck, a water re-supply vehicle and civilian workers from the Tohoku Power Company by U.S. Navy landing craft to attempt to restore partial power to the cut-off island. The same day the utility vehicles were delivered, the island received power for the first time since the disaster. During the Oshima operation, pallets of clothes, blankets, and food were flown to the JMSDF helicopter destroyer JS Hyuga (DDH 181) by Marine helicopters, where they were distributed to displaced residents of the island who were temporarily embarked aboard the ship. Working alongside the JGSDF, the 31st MEU delivered 15,000 pounds of supplies to the island and cleared tons of debris from harbors, roads and beaches. Marines also created temporary shower facilities allowing residents to bathe. For some it was the first time they had been able to take a shower since the tsunami struck. In total, the 31st MEU and the Essex ARG moved 164,000 pounds of relief supplies to those affected by the disaster, including five cities, Oshima Island and the Japanese ship. 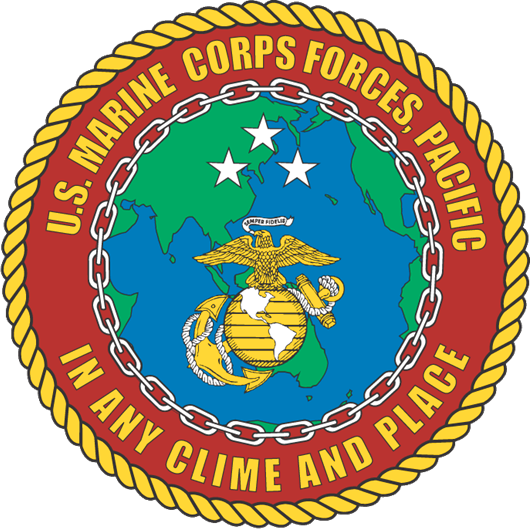 The 31st MEU is the Marine Corps' only permanently forward-deployed MEU and remains the Marine Corps' force in readiness in the Asia-Pacific region. It currently conducts regularly scheduled semi-annual patrols throughout the region and participates in several mulitlateral training exercises with allied militaries. The 31st MEU remains ready for a wide range of contingency operations ranging from amphibious assault operations to humanitarian aid and disaster relief missions. 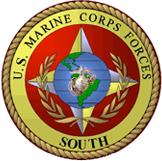 Wikimedia Commons has media related to 31st Marine Expeditionary Unit. ↑ "Chapter 5: The Final Curtain, 1973 - 1975". history.navy.mil. 2000. Archived from the original on 13 January 2008. http://web.archive.org/web/20080113050320/http://www.history.navy.mil/seairland/chap5.htm. Retrieved 17 December 2007.